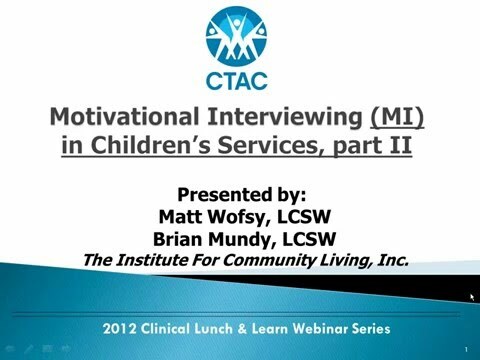 This was our second webinar on Motivational Interviewing. While the first webinar focused on introducing you to the basic principles of MI, this webinar is designed to delve deeper into motivational interviewing applications with children, adolescents, and families. Participants learned about the technical aspects of working with persons who are not ready to change, as well as the subtler aspects of decisional balancing, reflective listening, sitting with ambivalence, clarifying values, and developing discrepancy.